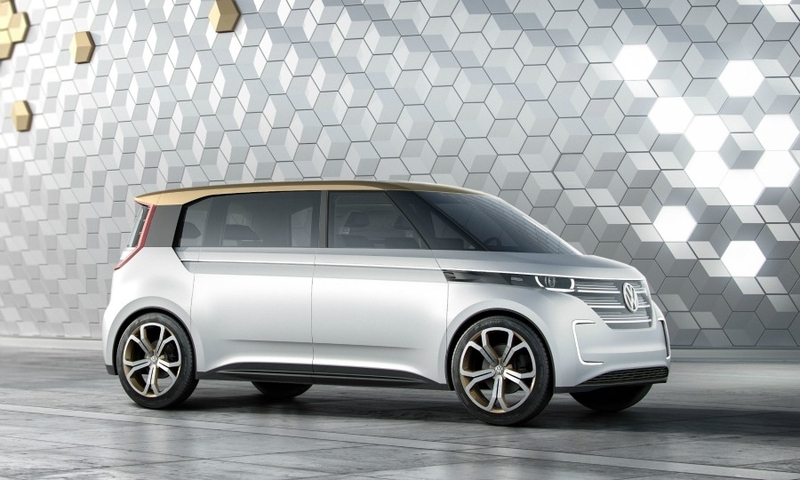 LAS VEGAS -- A day after it was sued by the U.S. government for its diesel emissions violations going back to the 2009 model year, Volkswagen turned its attention to the future with an electric people-mover concept designed to show what connected, electric transportation could look like in 2019. 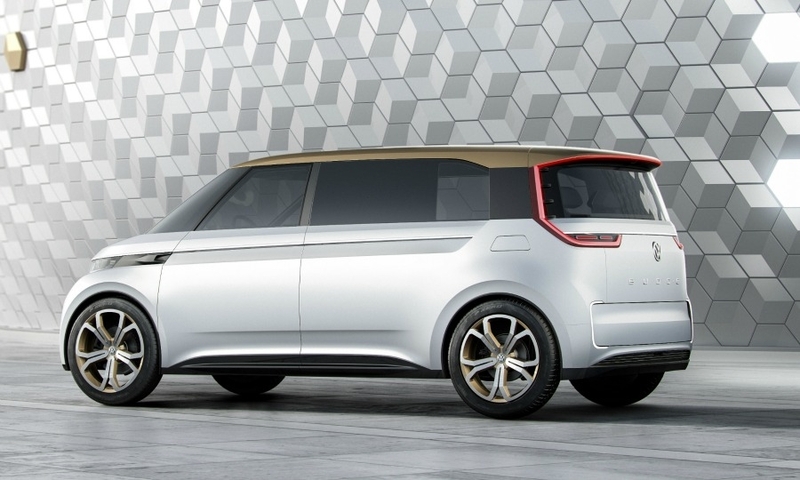 VW’s BUDD-e concept, revealed at the Consumer Electronics Show here Tuesday, is the first VW to ride on a new modular platform toolkit designed for electric vehicles that the automaker intends to deploy across its brands. The concept underscores VW’s pivot towards broader electrification of its vehicle lineup, a move that has taken on added significance as the automaker fights to regain credibility after admitting that it cheated on emissions tests for its diesel vehicles. 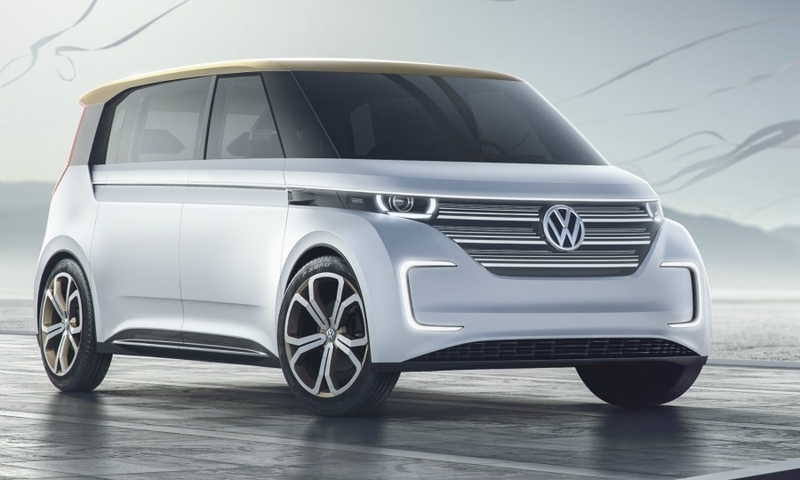 In a statement, Volkswagen said vehicles built on its Modular Electric Toolkit, or MEB platform, will have the range, cost and utility needed for them to be the primary vehicle for many families, a combination that today’s electric vehicles have struggled to achieve. The BUDD-e concept packs a 101-kilowatt-hour battery providing up to 533km (332 miles) of range in the New European Driving Cycle, a test cycle designed to assess emissions. It can be recharged to 80 percent in 15 minutes, the company said. 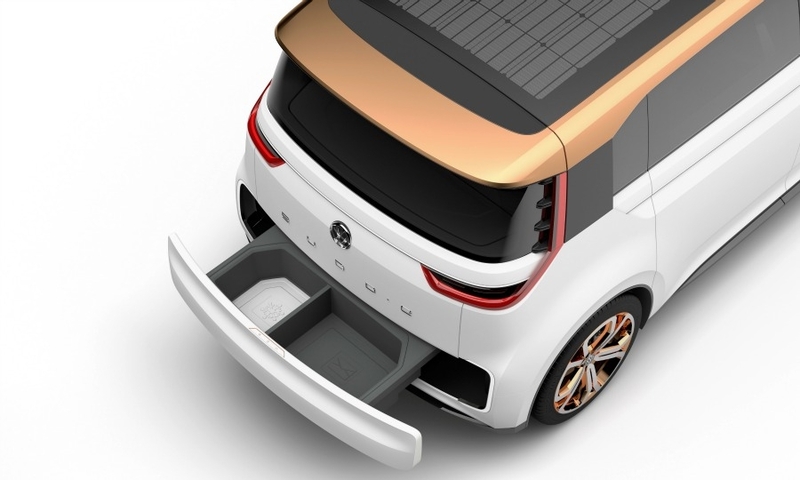 VW says the MEB platform is designed to minimize the space used by the electric motors and batteries, allowing for more creative and spacious interior packaging on a small footprint. In the BUDD-e, the battery pack fits flat under the floor, while electric motors power the front and rear axles, an arrangement comparable to Tesla’s Model S and Model X. That leaves room for an open cabin with an L-shaped bench seat wrapping across the rear toward the driver seat, and a swiveling front passenger seat. 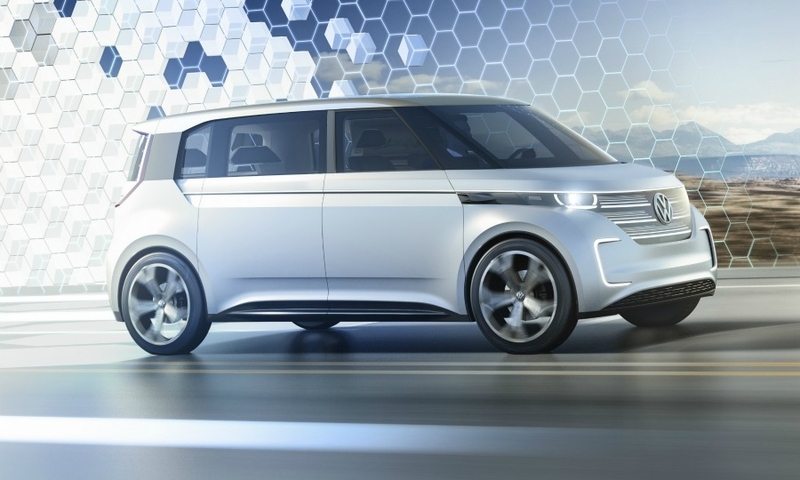 VW says the concept is designed to be connected to the “Internet of things” so that it can communicate with other network-ready devices in the home or office. 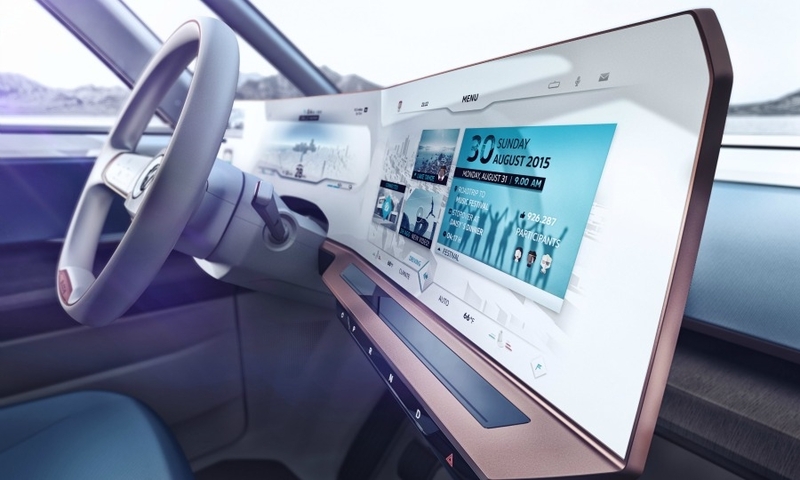 In front of the driver is a bank of three displays that are customizable and controlled by gesture, touch or voice commands, eliminating the usual assortment of buttons, switches and gauges. In a press release, VW called it “the instrumentation and operating concept of the future,” likening the advancements it offers to the jump from flip phones to smart phones. The gesture controls aren’t limited to a wave of the driver’s hand. Cameras, for example, recognize when backseat passengers are rising to exit and signal the sliding side door to open automatically, VW says. 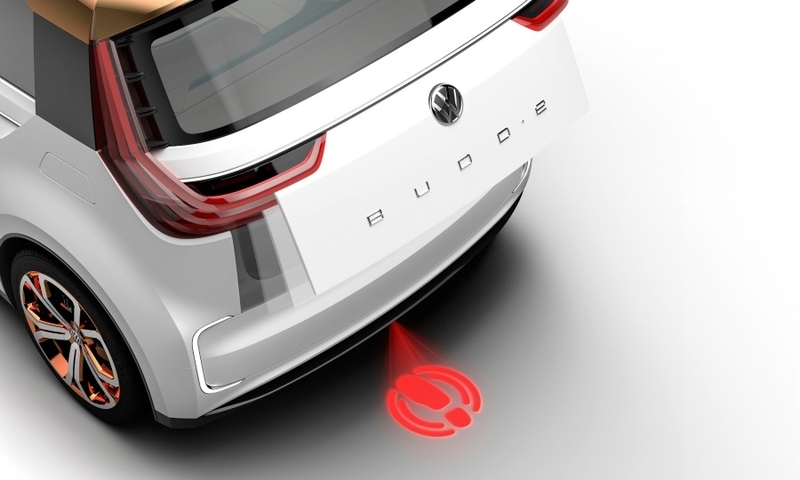 The concept also has a power rear door that can be opened by stepping inside a laser outline projected on the ground, VW says. Volkswagen says the BUDD-e exemplifies what’s possible for a connected electric car in 2019 and beyond. 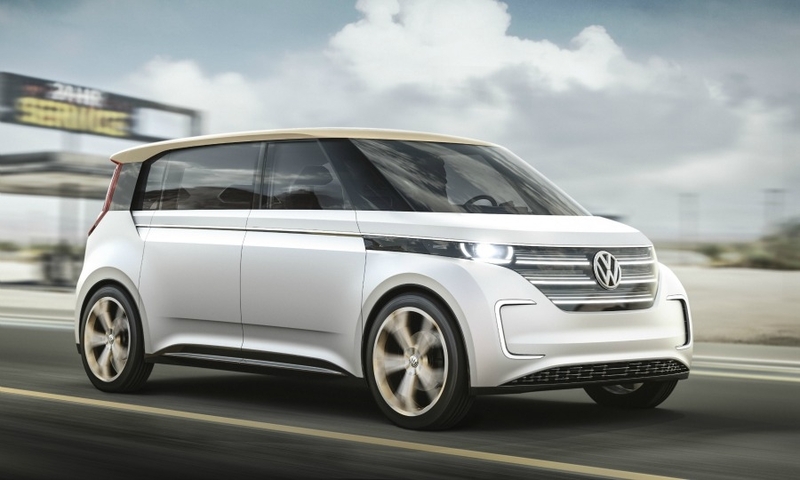 VW brand chief Herbert Diess said at the CES that a production version could come to market by 2020. The BUDD-e exterior is similar to that of the Microbus, which was built primarily in the 1950s and '60s. VW looked into bringing back a version of the Microbus about 15 years ago especially for sale in the U.S., but scrapped the plans in 2005 after deciding the model wouldn't make money. An electric variant would enter a segment that has yet to generate high demand. 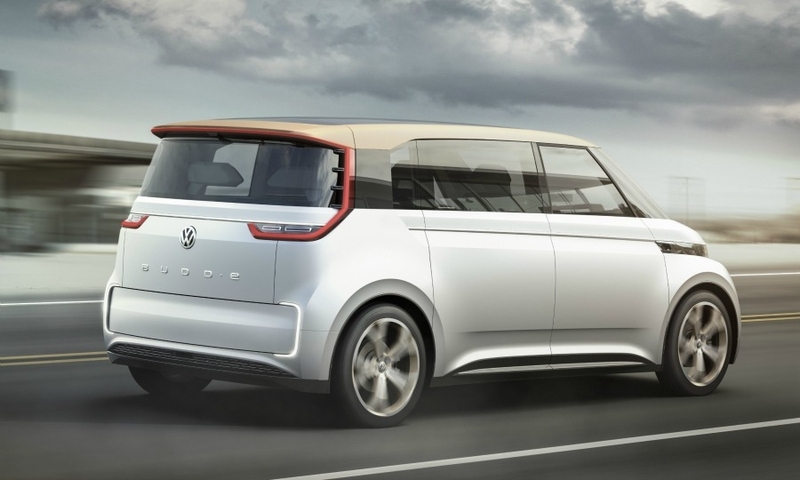 Volkswagen says the BUDD-e exemplifies what's possible for a connected electric car in 2019 and beyond. 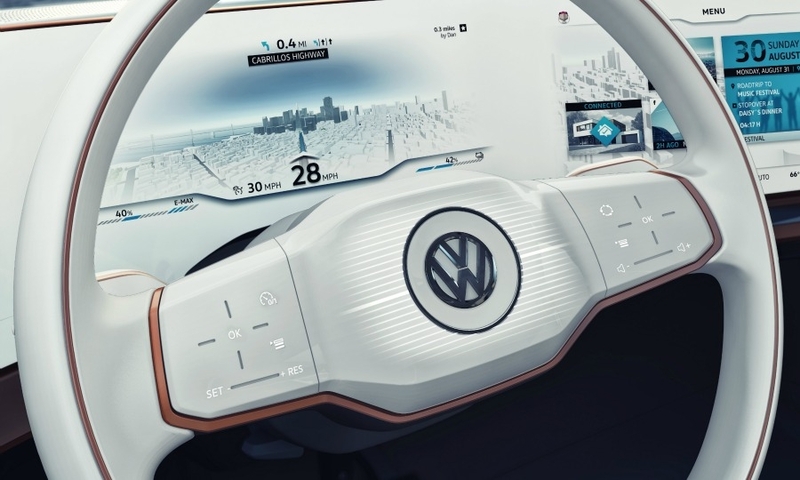 In the nearer term, Volkswagen plans to roll out more advanced touchscreens and infotainment systems with new functions showcased in the e-Golf Touch also displayed here. The car features a 9.3-inch touchscreen display in its center stack running the next generation of VW’s MIB infotainment platform. It features a configurable tile-based interface where drivers can assign different functions to the tiles, such as phone or music. 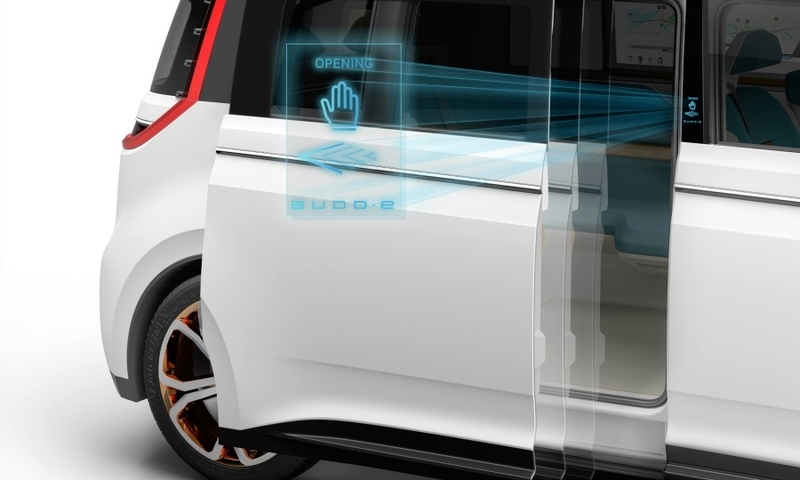 The concept also showcases wireless phone charging capability, including for rear passengers. VW says the e-Golf Touch is a collection of interface and infotainment technologies that are near production. The first will start appearing in Europe this summer and will be rolled out over the next year or two in a variety of models.